Save valuable time, resources, and money by automating what you do every day. Our Robotic Process Automation (RPA) products were designed with the understanding and knowledge that production and maintenance of scripts is often a stressful drain on valuable organizational resources and team members. The Summit Scripting Toolkit and the Summit Scheduler were created to help your team avoid the immense cost and time that working with a third party vendor requires. 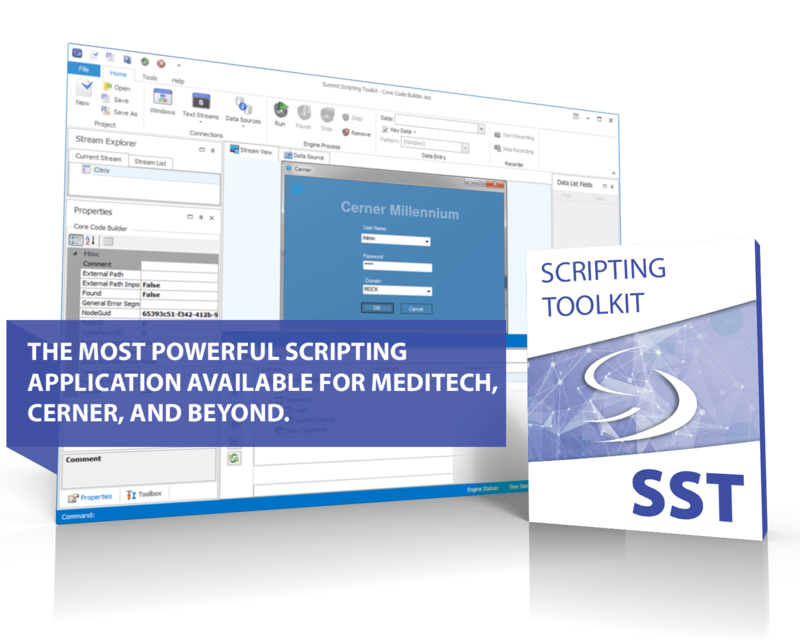 The Summit Healthcare Scripting Toolkit combined with the Summit Scheduler offers the most versatile and powerful scripting capabilities on the market today, with scalable, cost-effective, and time-sensitive solutions. Our full-featured applications enable your IT team to access the functionality of script production, testing, and release with greatly reduced workflow times and solutions that match the needs of your organization. We offer simple workflow processes that solve the complex needs of your organization, all with the understanding that the most value comes not only when the customer has access to all of the tools needed, but also the ability to maintain and operate those tools on their own. Many of the tasks your staff is performing on a daily basis can be automated and your resources re-allocated with the introduction of Summit Healthcare’s RPA solutions. Schedule tasks to kick off any time and perform 24/7 maximum efficiency in every department with the automation of any process. From budget and charge updates, to collection note uploads, to remittance posting, to point of care device integration and patient self-registration, the Summit Scripting Toolkit and the Summit Scheduler offer a near real-time interface that is reliable, efficient, and cost-effective. Lincoln Surgical Hospital improved clinical modality integration with MEDITECH’s EHR platform using Summit Scripting Toolkit. The system delivered immediate cost savings and a 3-month ROI. Learn the many ways Wayne Memorial has leveraged scripting at their organization, including scripting into MEDITECH 6.0. One automation project alone saved $38k annually! Learn about the ways in which Lakeridge Health utilizes the Summit Scripting Toolkit to automate clinical point of care devices within their MEDITECH HIS. 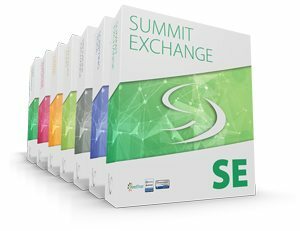 Learn about the ways in which Silver Cross utilizes the Summit Scripting Toolkit to streamline workflows and task automation in their Cerner environment.